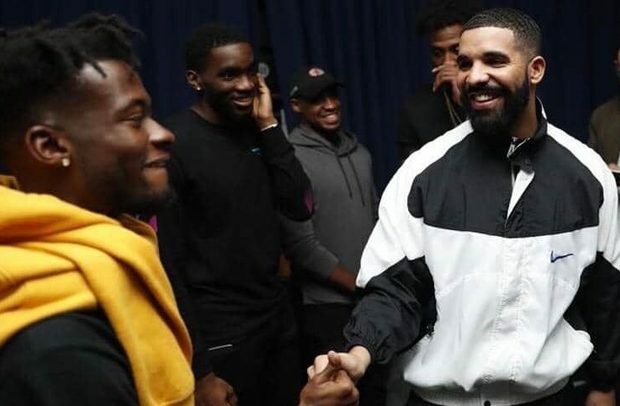 Kofie Carter, a USA-based Ghanaian Afrobeat musician, has been photographed on different occasions with American hip-hop moguls—Drake and Meek Mills— fuelling speculations that he may be working with them on a project. Kofie is currently working on an upcoming EP, and there have been a lot of questions as to whether he will be working with them since the photos have already popped up. Efforts to get comment from his management, however, proved futile on Sunday. 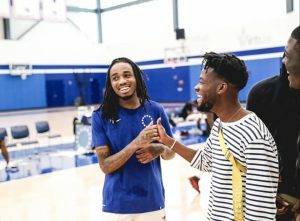 In one of the photos, he was caught exchanging pleasantries with Drake while in the other, he was seen with Meek Mill at the basketball. This isn’t his first time of having been spotted with an American star. Earlier in July 2018, he was caught hanging out with popular American reality star Kendall Jenner and basketball player Ben Simmons. Hollywood reports suggested that Kendall and Simmons have been seeing each other for some time now. 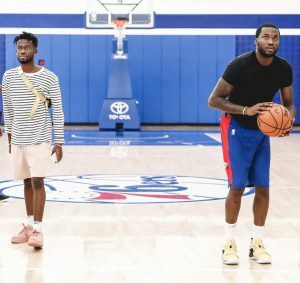 The 22-year-old ‘Keeping Up With The Kardashians’ star and the 21-year-old Philadelphia 76ers player have been spending a lot of quality time together and Kofi is one of the persons in their company. The new photos also captured him with Quavo of Migos. Kofie Carter, born Hackman Kofi Owusu-Agyemang II, calls himself a versatile African musician because he does most of the popular genres of music instead of one. Afrobeat/pop, hip-hop, R&B, pop, house, hiplife and dancehall are the most popular genres that can be found in his music. During his experimental phase of his musical career, he created a seven song project titled ‘7%’, which he made in 2014 and 2016. Songs like ‘Ferrari’ and ‘Window’ came from that. Later, he released the single, ‘Darty’, which is off his upcoming project EP. It is also dubbed ‘7%’ because it is an extended play project. He is expected to put Ghana on the world map out there.